I'm hoping you've had a pleasant weekend so far! 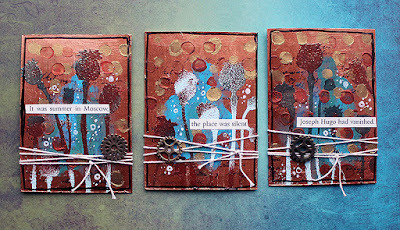 Here's a set of metallic ATCs I did with a tutorial for Mixed Up (link). The article was published on the site in the beginning of the year. Have you already looked into Mixed Up? 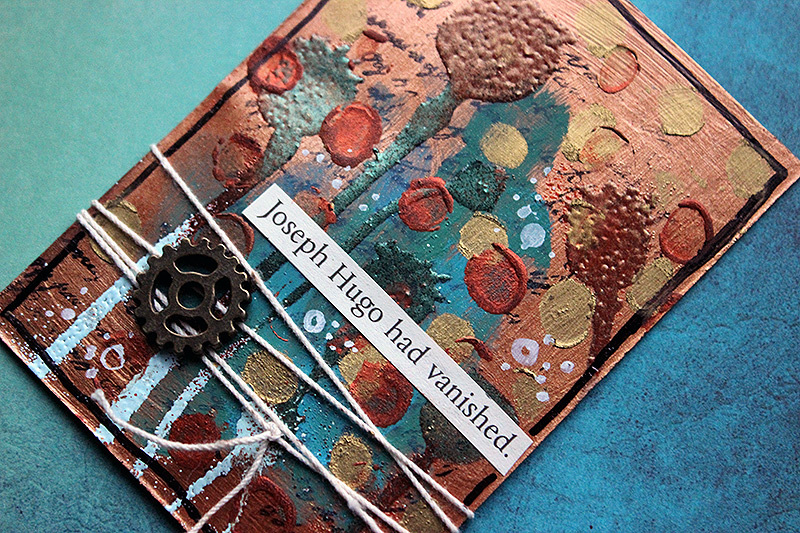 It's an online platform for tutorials, articles and all things mixed media. You can join here (link) or if you want to know more then please read the lines in the front page (link)! 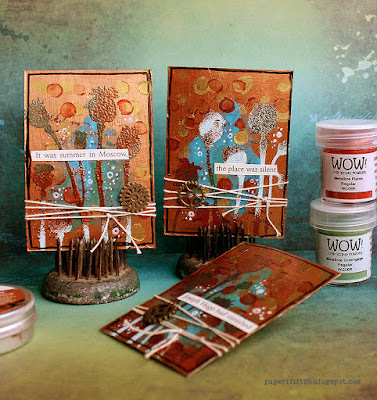 I used several metallic products in the cards. 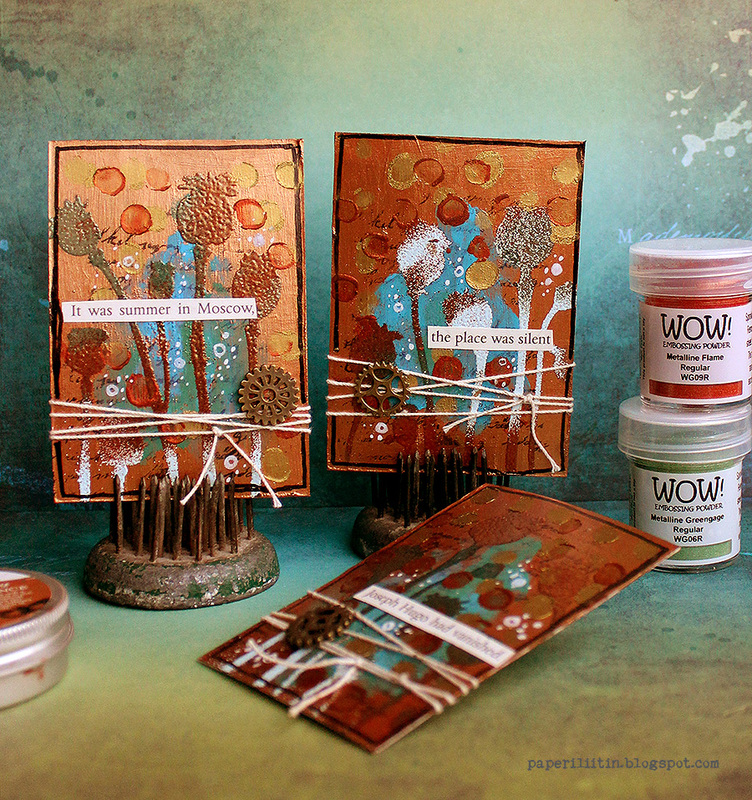 There's Metallique paint and wax from Prima, Metalline powders from Wow! 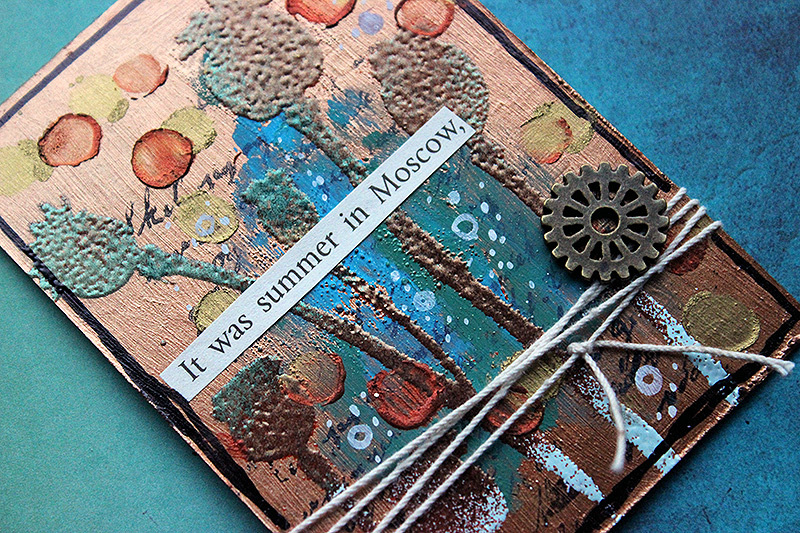 and also tiny metal embellishments. 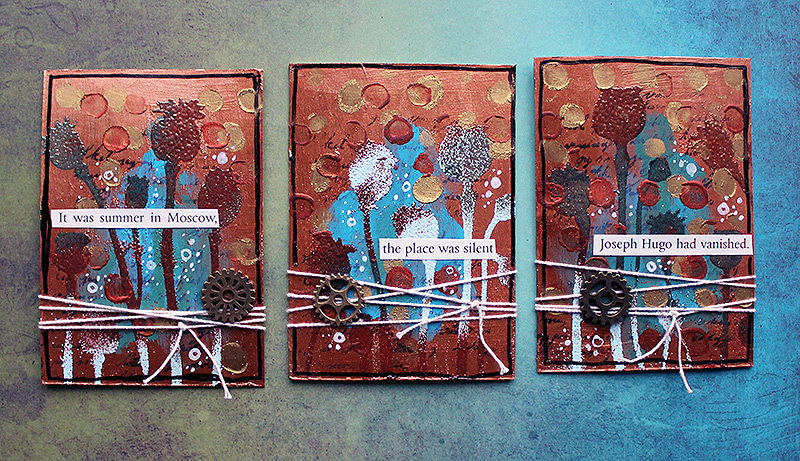 I also added some Impasto paints to the cards to contrast the metallic shine with something matte. I've always loved ATCs with a story. Especially a story cut from a book. 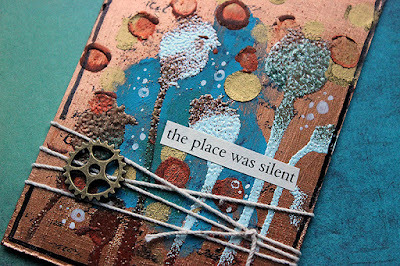 That's how I build this story in my cards. 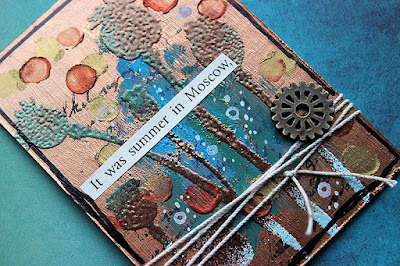 "It was summer in Moscow, the place was silent. Joseph Hugo had vanished." A few lines and you can then build the whole story in your head! Have a great start to the new week! Thank you for your visit today!